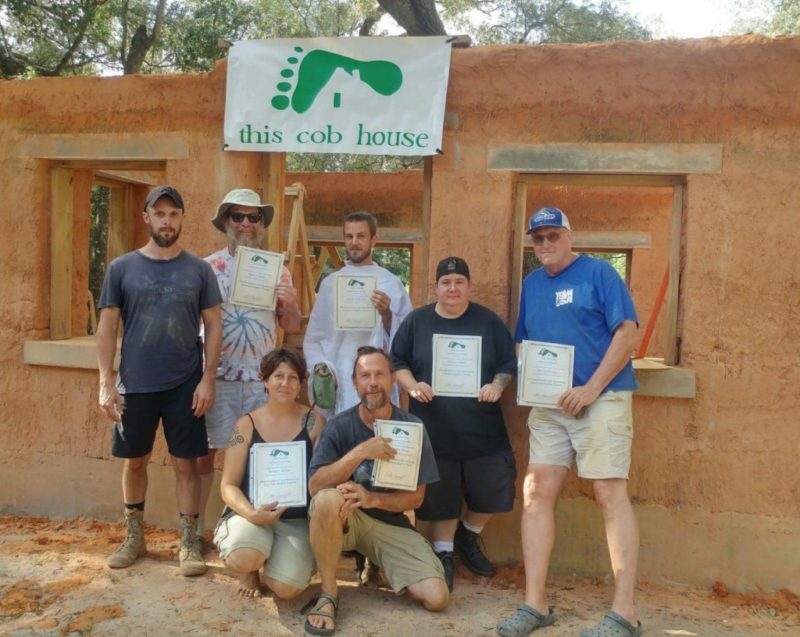 This workshop is intended for those who want to build something substantial, even a home! We will be constructing the walls and roof of a complete project: either a sleeping cottage, a bath house, or a dining extension. The ideas we cover will translate to your own future project. 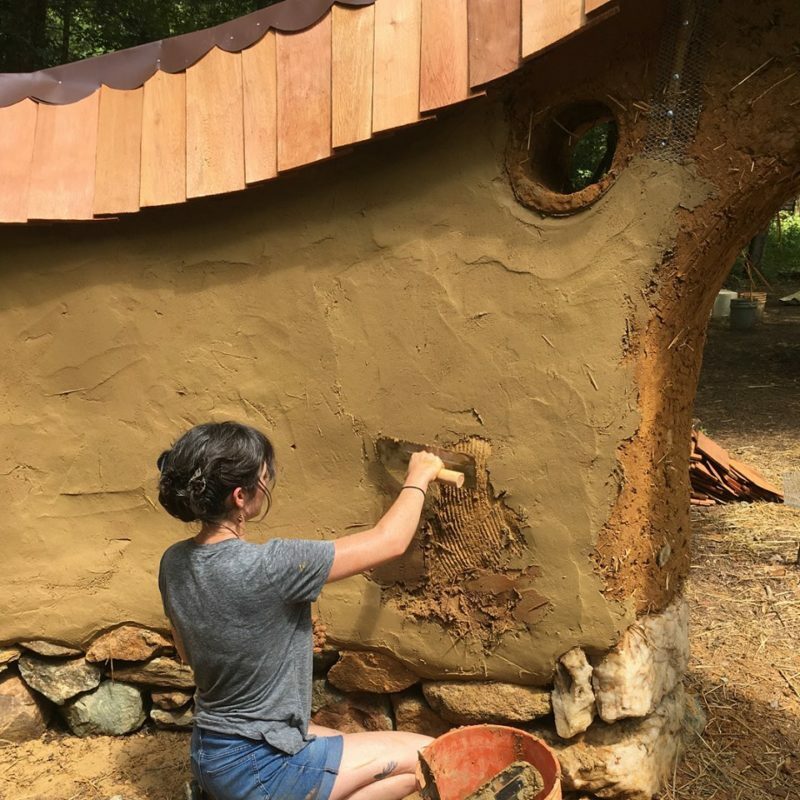 Our focus will be cob, strawbale, and wattle-and-daub. Our workshops emphasize hands-on learning. Most of our day is spent on site (typically 9:00 AM – 5:30 PM, with a leisurely lunch break), working with our bodies. This is complimented by sit-down discussion/presentation. Some of what you will learn. 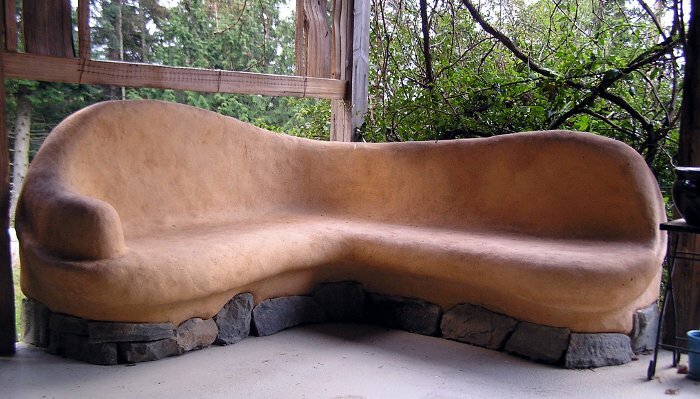 We always include a home tour mid-week, to see some local natural buildings. We will give a tour of our own home, and then take a field trip to see at least two others, with plenty of Q+A with the owner/builders. Your hard work will be rewarded with three delicious, wholesome meals per day. We source local, organic produce when possible, and emphasize whole, real foods. Mostly our cook will make vegetarian meals, with an occasional meat option. Dietary restrictions can be accommodated. We will fire up our cob oven for a pizza dinner one night during the week! There is a hot shower available, and compost toilet facilities. 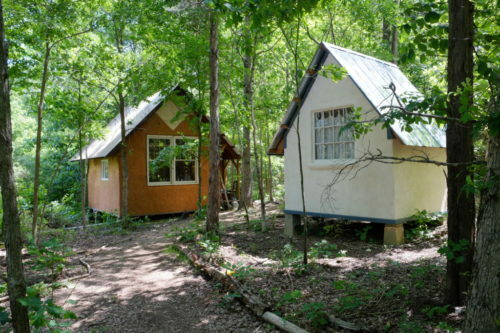 Tent sites are available at no extra cost, and there are several earthen, one-room sleeping cottages available for rent ($80/week).